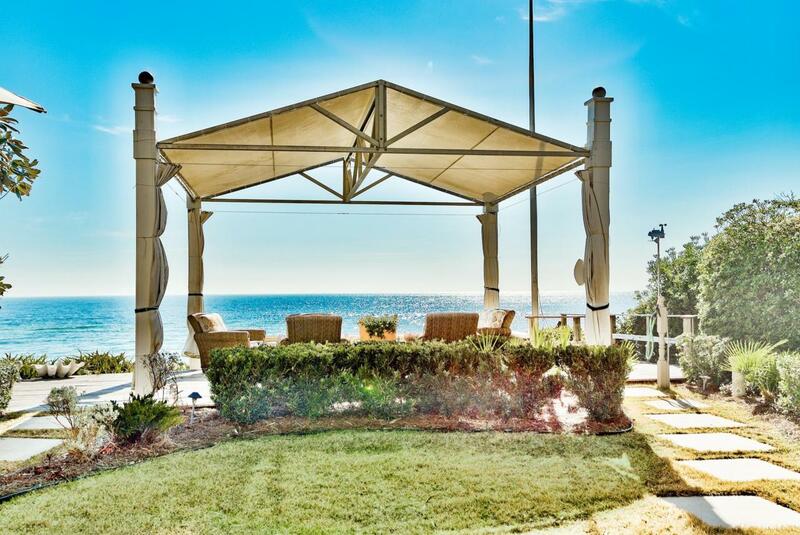 Designed by Thurber Architects, this gulf front home is a blend of the most current technology, sophistication and visually stunning elements. The opulent entrance is filled with natural light - 4 overhead windows, elegant wall sconces, 5 hanging light spheres, a floating mahogany staircase, inset wall shelving and an elevator. 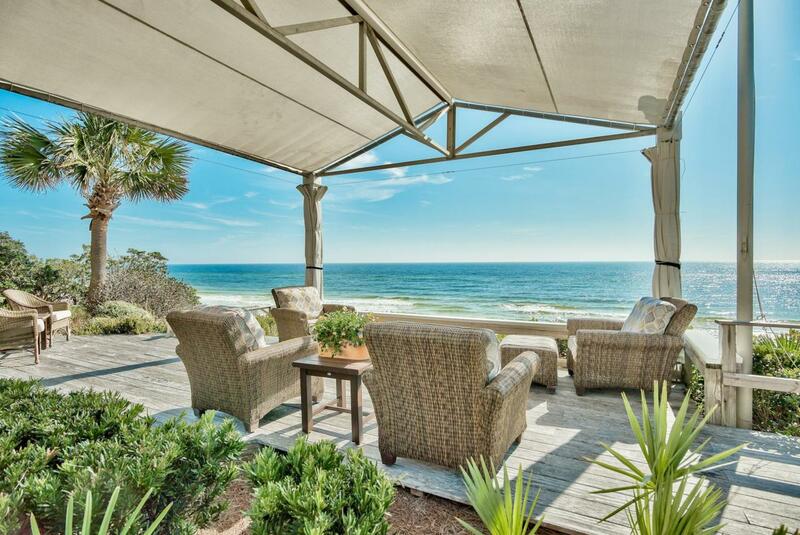 Just beyond the entrance is an open floor plan with gulf front views from living, dining and chefs kitchen. Also Included on the First Level: a Half Bath; a Laundry Room; a Master Suite with adjoining loggia featuring 2 sitting areas, Fireplace, TV, heated & lighted spa pool and Nano wall & gulf front lawn; Master Bath features split vanities, private water closet and bidet, walk-in shower, heated floors and toe heaters.The Second Level offers: a 2nd Master Suite [gulf front], master bath with radiant heated marble floor, toe heaters, split vanities, walk-in shower, private water closet & bidet, expansive custom closet and a gulf front balcony; 2 additional Guest Bedrooms with en suite luxury baths; 2nd laundry area and morning bar. 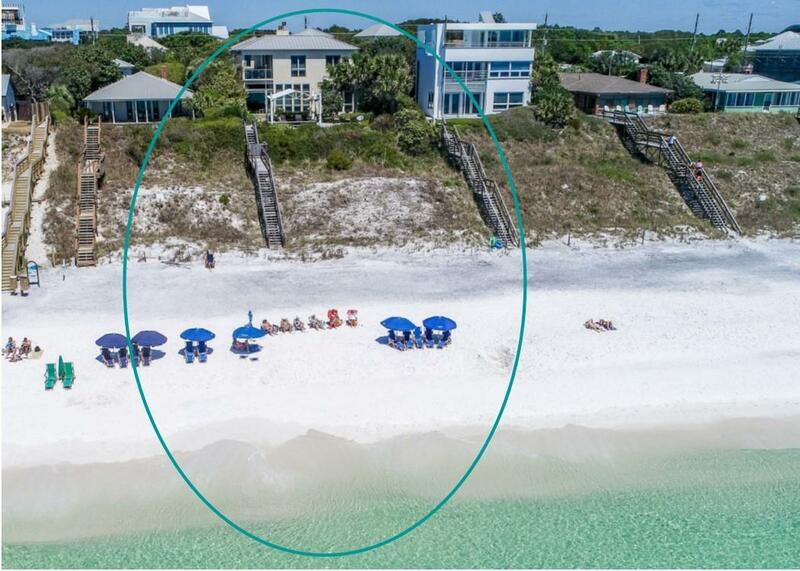 With an approximate elevation of 32' this beautiful home offers 60 feet of gulf front to enjoy from the waters edge or from the shaded yard /arbor that offers full east and west gulf front views. Additional Elements Include: Lutron & newly installed Control 4 Smart Home Technology Systems: remote control from every room - security cameras, lighting, music, video, energy and electronic shades | Gated Side entry / Gulf Front Master Suite and additional Main Floor Master Suite | Italian Marble Floors, Heated in Master Baths | Elevator & Floating Stairwell | Chef's Kitchen: 2 Bosch dishwashers / 48" Wolf cook top / Induction Heat cook top / dual ovens / Wolf Warming Drawer / SubZero Refrigerator / Wine Cooler / Icemaker / Custom Cabinetry & Quartz Counters in the Kitchen / Island Sink & Bar Sink and Granite in the Baths / Central Vacuum System | ICF construction / Sea Wall | Metal Roof | 2 Car Garage | Landscape Lighting | Dornbracht Plumbing Fixtures / Custom Drapes with blackout lining along with electronic shades / 2017 newly installed private beach boardwalk / New Sunbrella Arbor 30' overlooking the Gulf of Mexico.